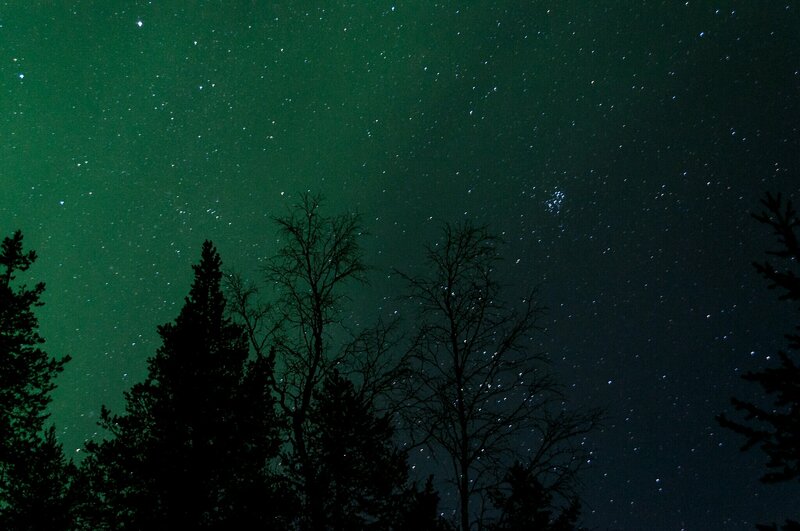 What will happen if you will be photographing stars and clear night sky in the Lapland? 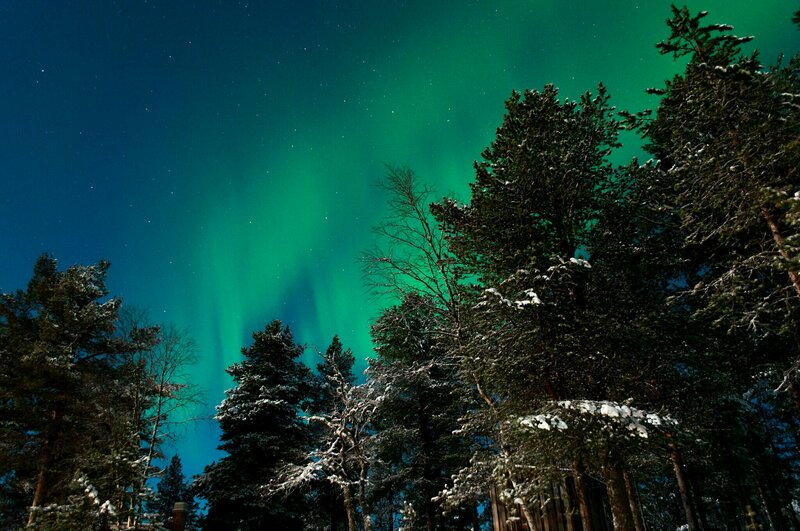 You have very good chance to have northern lights too. I had a goal to photoshoot stars and make myself better in night photography. 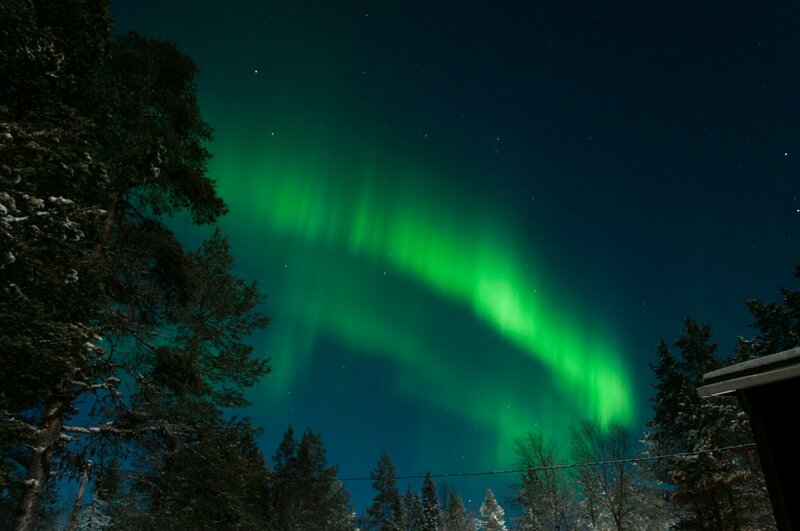 When we went outside, beautiful and strong light show has begun. I was just looking at the sky in astonishment, unable and not willing to take a single picture. I wanted to see it all. Then, after few minutes it dissapeared and on the sky was just a moving mist. This mist looks to an untrained eye same as clouds with a slightly weird “behaviour”. At this moment we stopped and we were just looking at all those beautiful stars. I just set a camera and began playing with settings. 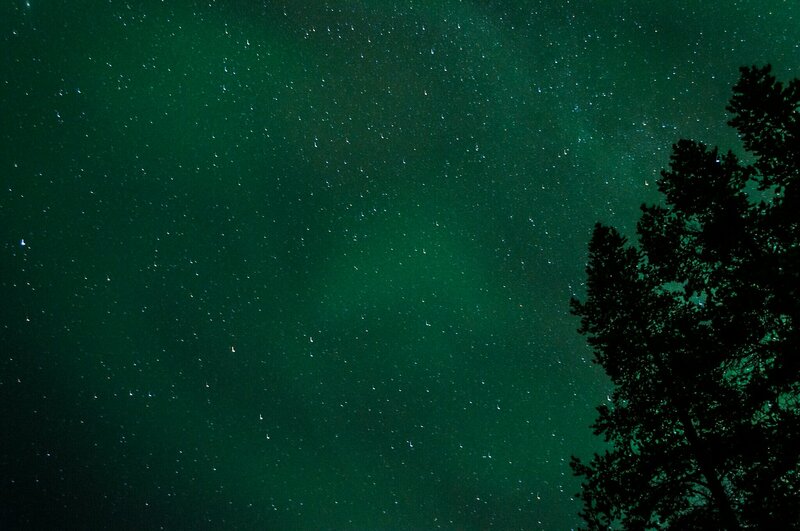 With a long or sligtly longer exposure, I ended with a pictures of night sky in a green colour. That mist has moved all over the sky and I could see it on photos. Second time it was more spontaneous. I was on a way back from the work (around 11pm) when I could see from a car nice but weak show on the sky (I was not driving). Then I just grabbed my camera and run outside…and missed the best show that day. At least, I could see few seconds of it. The photos are super bright because it was full moon and we left light turned on in the kitchen. Even later I was watching it from a window. Just sitting on a couch and from time to time looking outside. Since now, almost every time I saw it by accident. Or I was just looking at the sky only because it was clear sky. Rare thing last days. It was a bit dissapointment when we were outside for two days. Clear sky, we had to walk during the evening and late evening and only thing we could see was plenty of beautiful stars and one super weak aurora around the midnight, close to the horizon and lasting for a few minutes. Truth is, I even didn’t take a tripod due to the low chances of seeing aurora. 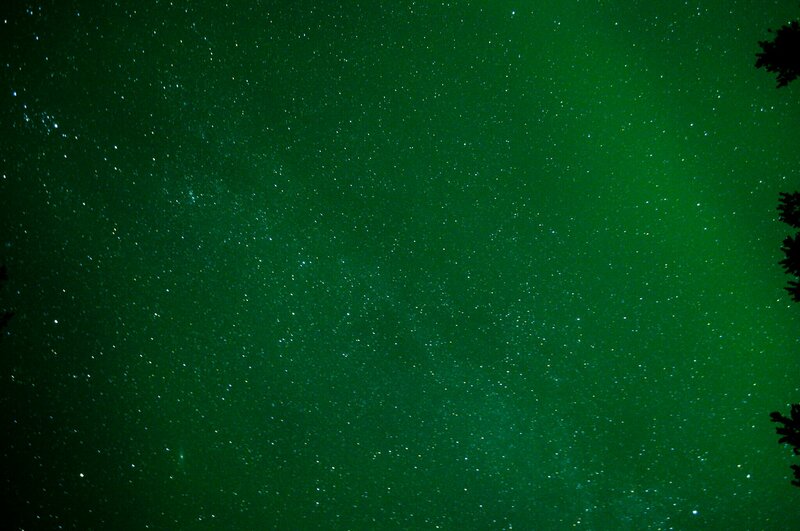 This last aurora was whole night. Fading away and then getting stronger again. I didn’t want to stand in cold outside. 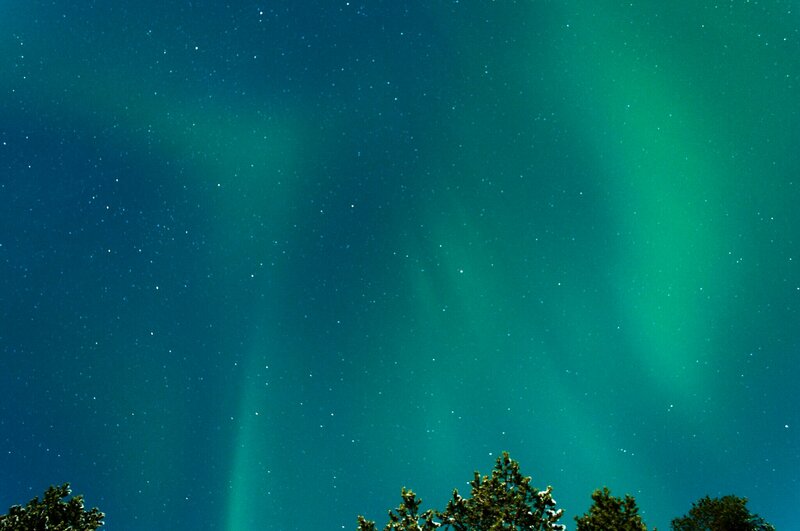 Around 1am I woke up and then just a small stronger aurora – and it was nice and amazing. It started to move quickly getting stronger and stronger, moving from one part of the sky to another. I am happy, that photos are getting better and now I know more about how to make it look good. Still, the setting, shutter speed are not the best.